On Thursday 18 January, the board of EisnerAmper Global (“EAG”) met in the New York area for the first Board Meeting of 2018. 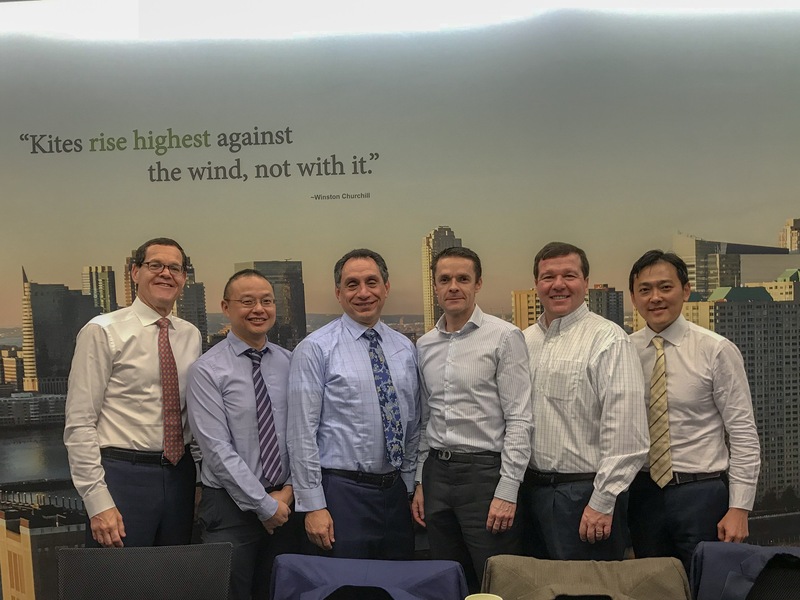 The meeting was attended by five directors of EisnerAmper Global; Nick Tsafos and Peter Cogan, Partners at EisnerAmper US, Frank Keane, Partner at EisnerAmper Ireland, Ben Leung, Managing Partner at EisnerAmper Cayman and Saw Meng Tee, Managing Partner at EisnerAmper Singapore. Members of the board discussed the future of the EAG network as well as recent developments such as the addition of EisnerAmper Singapore as a member. The meeting was a great opportunity for EisnerAmper Global members to catch-up and also meet many of the Partners in EisnerAmper US, including CEO of EisnerAmper LLP (US) Charly Weinstein.